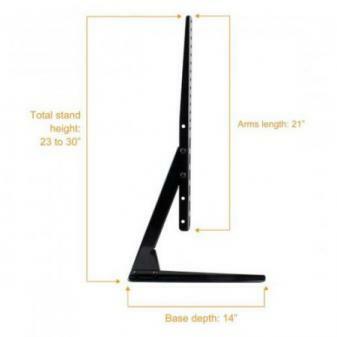 is the perfect base for your LCD, Plasma or LED flat-screen TV. install and the stand's anti-scratch bottom also protects your furniture. - Fits flat-screen TVs from 37" - 70"
TV weighs 110 lbs. (50 KG) or less. This stand also includes all of the necessary screws for installation.